Supported by a local Friends chapter and just 15 minutes from Atlanta is a recreational haven for all ages and interests. Visitors can picnic while children work off energy on the playground. Anglers can bring their fishing poles to catch dinner at Alexander Lake. The park even offers archery, boat rental, geocaching, orienteering, birding and tree-climbing programs. A paved trail is open for biking, roller blading, jogging and dog-walking, while forested fitness trails are open for hiking and running. 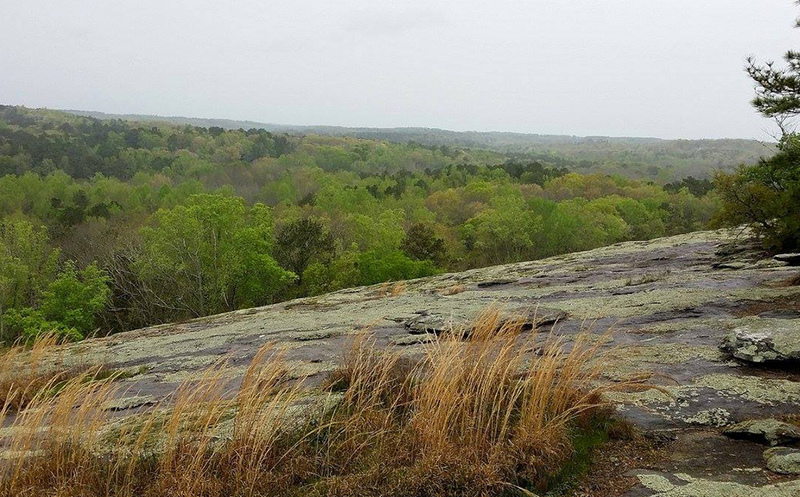 Panola Mountain is a 100-acre granite outcrop similar to Stone Mountain, but smaller and much more pristine. Park visitors will see the outcrop and its rare ecosystem just as Native Americans did centuries ago. Reservations are required for ranger-led hikes that teach about the rare plants and animals found in this habitat. For a full listing of events and information about Panola Mountain State Park Historic Park visit the Georgia State Parks page.